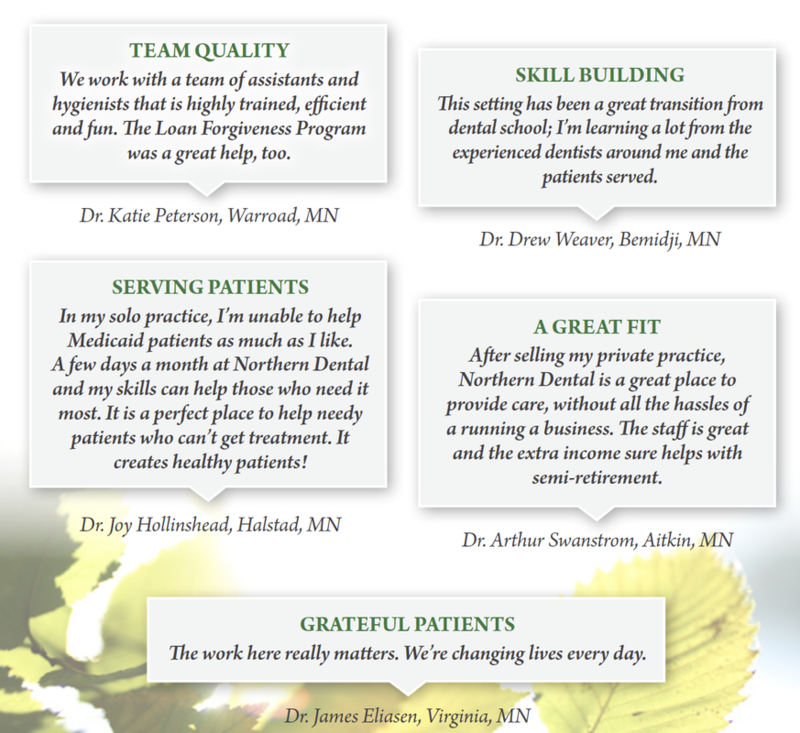 Volunteer or Contract, more than a dozen dentists provide care at Northern Dental Access Center with a variety of arrangements. Once a week; a week at a time; Friday through Monday with a weekend for fishing - we will work with you to meet your interests! Click image to view and download a PDF of our Recruitment Booklet. Bemidji, MN is a great place to live or visit. Read our ﻿recruitment booklet﻿ and see the reasons why.